I'm 14, Can I get my pilot certificate? Here's my recommendation for young adults who want to pursue aviation. The regulations say you can't solo an airplane until you are 16 and can't get your Airplane Private Pilot Certificate until age 17. If you're 14, that gives you 3 long years before you can make progress to your goal. 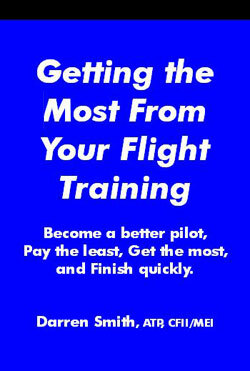 If you are really interested in aviation, there are other ways to get started. If you're between 12 and 14, contact the local Civil Air Patrol chapter. They have a youth program which exposes members to aviation through search and rescue missions and glider operations. If you're between 14 and 16, strongly consider getting a Glider Private Pilot Certificate. The cost is lower and you can solo at 15 and get your pilot's license at 16. When you are ready to get your Airplane Private Pilot's certificate, you already have most of the work done. If you're already 16, get started by going down to your local airport and get a "discovery flight" which is usually almost an hour. Its loggable flight time towards your pilot certificate. Be sure to take your parental unit as they'll probably want permission before taking you up for a ride. If you want to start a career in aviation, read Eight Steps to an Airline Career for advice getting started. A special note about school: Its more and more important than ever that you complete high school and get a university education. There are plenty of pilots looking for work so its very competitive. Most of those pilots have 4 year degrees already, and they get hired first. It doesn't really matter what you get your 4 year degree in, but just be sure to do it. My degree was Psychology, the 2nd most common degree awarded in the United States. Business is the most common.